"The Flowers of Russia On Your Shoulders". This is the way world known Pavlovo Posad Kerchief Manufactory states its motto. 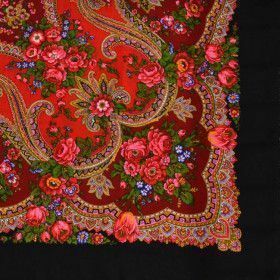 The woolen shawls carefully designed by hand and produced in Pavlovsky Posad – the town located 42 miles of Moscow – have been one of the favorite fashion items of Russian women’s traditional clothing throughout the decades. This small town has always been famous for its textile business. 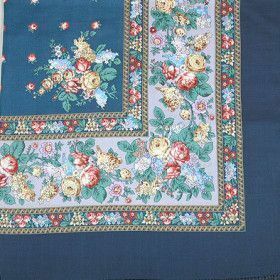 More than 70 silk spinning miles owned by local peasants existed in the region by the start of the XVIII century. It was in the early 1860s when Yakov Labsin and Vasily Gryasnov started the well-known manufacture and the two families ran the factory till the communist revolution in 1917. 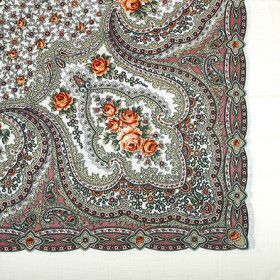 The woven handmade and thus extremely costly shawls were in great fashion in Russia of the XIX century. 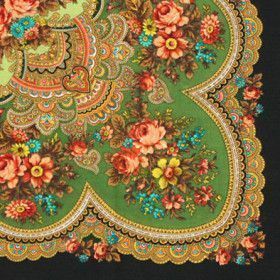 The two Russian merchants started the production of the shawls that were both delicately designed and more accessible for the customers due to the printing method. The socialist revolution brought changes in the themes of manufacture but only for a short period. 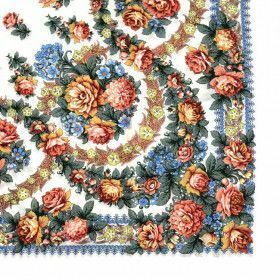 The company stayed true to its traditional age-proven patterns, flowery garlands and bouquets. 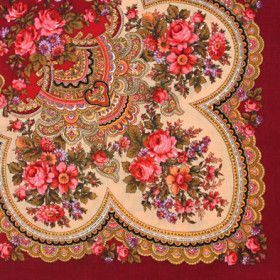 What are the secrets of Pavlovo Posad Shawl success? The local professionals say there are at least three of them. Age-old traditions are the foundation. The most delicate operations are made by hand. The production starts with the creative work of an artist. It can take up to 30-40 days for an artist to create a unique design for the coming masterpiece. The drawing is valued as the most important thing and the artist is the most important person. The artists sketch out patterns and add colors to them. 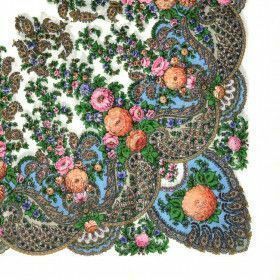 Later the pattern is reproduced in alternative colors which make it possible to produce up to nine similar ornaments but of different shades. 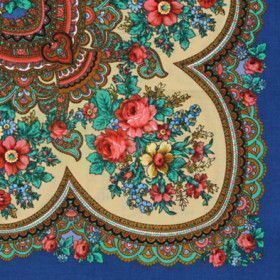 Two experts – one from Moscow regional government and another from the Ministry of Industry and Trade – determine whether the design has been made according to Pavlovo Posad Shawl and Scarves traditions. 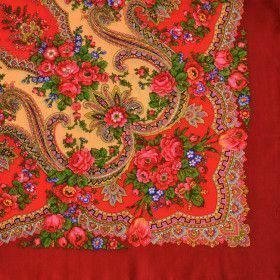 Perfect Design and bright, intricate patterns of Pavlovo Posad Shawls give inspiration to both customers and world fashion designers such as Slava Zaitsev who used the theme of Pavlovo Posad Shawls in his famous collections. The Best Masters and Materials are vital for creating a masterpiece. Seven professional artists give life to them in the solitude of their workshops. The production and materials are environment friendly. The Manufactory uses the most advanced equipment and production technology. The natural merino wool is considered to be the softest in the world. 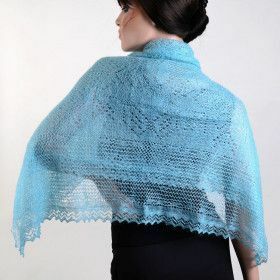 It makes the shawls thin and light but sturdy at the same time. 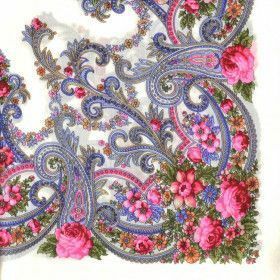 The Pavlovo Posad Company safe proof their fashion accessories. The authenticity check is a small sign depicting a rose in a diamond shape frame that is put by one of the corners. What are the wedding ring or goose egg Orenburg shawls? 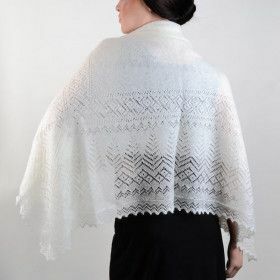 The most delicate and thin goat down lace shawls can indeed be pulled through the wedding ring or can fit into a goose egg. 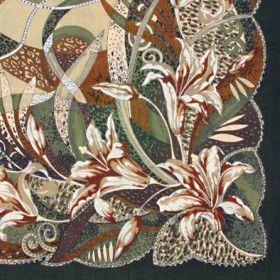 This traditional craft originated in the South Urals in Orenburg region more than 250 years ago. Cossacks – the military group in service for the Russian Emperor sent to guard the southern borders – settled in the region. Having tried to keep warm in the severe climate they had noticed the locals, mainly men, wearing goat down clothing items. Over the years, the Cossack women turned that survival life hack into a world known knitting art. 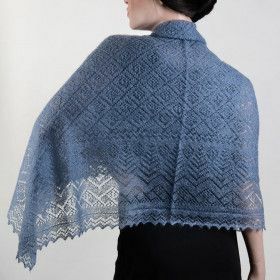 The winter frost designs on the windows, the snow covered ash berry tree branches and the beauty of the Ural plains inspired them to create the handmade knitted goat down shawls that gradually gained the world fame. 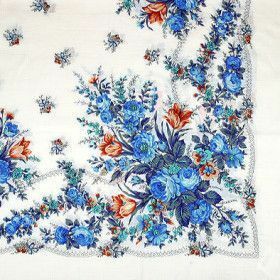 Orenburg shawls are of various types. Not all of them fit in a goose egg or go through the wedding ring but only the so called pautinkas which means "web " in Russian. The thick and thus the warmest winter shawls will certainly not. "Pautinkas " can keep warmth well but they are mostly valued for their intricate design. 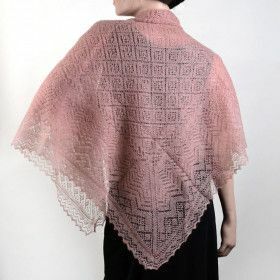 Though the shawls bear the name of Orenburg, the regional capital of the area, the age-proven down knitting traditions are better kept in the small villages scattered through the region. Up to the 60s all the shawls were handmade and thus absolutely unique in design and for that reason very costly and rare. 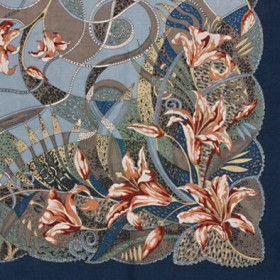 As the demand grew both within the country and throughout the world Orenburg Downy Shawl Factory was founded. 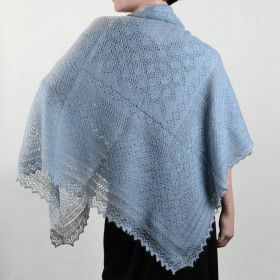 The main secret of the shawls lays in the quality of Orenburg goat down valued more than cashmere for it is the thinnest in the world: 16-18 micrometers compared to Angora mohair which is 22-24 micrometers. The softness and thinness are due to the combination of such factors as cold winters of the Ural area and the living conditions for the sheep. Several unsuccessful attempts were made to import Orenburg goats to other countries only to see the breed degenerate into ordinary goats with thick down hair. 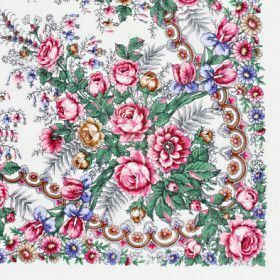 Our shawls will be "The flowers on your shoulders". 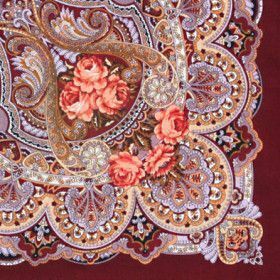 Imported from Russia, these shawls are the most versatile fashion accessory you will ever own. Wear one on your head, around your neck, over your shoulders, around your waist, or any other way you can think of. Or just use it to decorate your home. 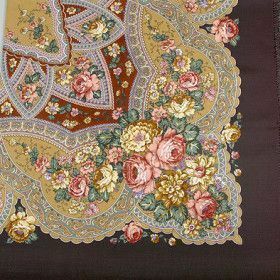 The uses of these shawls, Pavlovo Posad Shawl Factory shawls or Orenburg shawls are only limited by your imagination and sense of style. 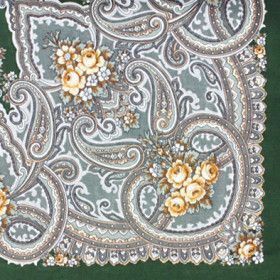 Soft and thin, unique and priceless, intricate and perfect accessory imported from Russia will be the most tender fashion piece you have ever owned.